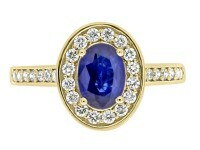 “Lily” an oval shape sapphire engagement ring. Beautifully mounted in a diamond halo. 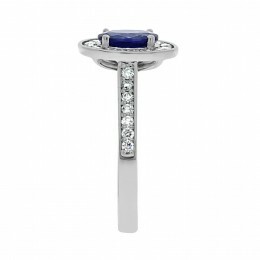 The pave set shank of round brilliant cut diamonds gives this ring a spectacular sparkle, scintillation and fire. 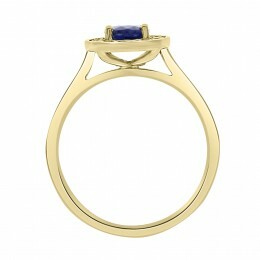 This ring is wed-fit which means a wedding ring sits perfectly beside it. 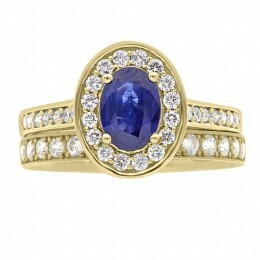 It is available in platinum, rose or yellow gold. 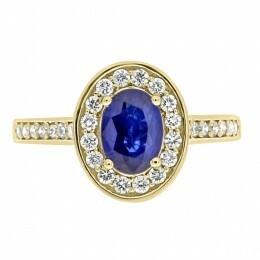 The ring pictured has a .80ct sapphire. The combined carat weight is 1.20ct. 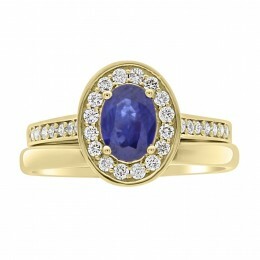 This style of ring is available starting from €2,500.